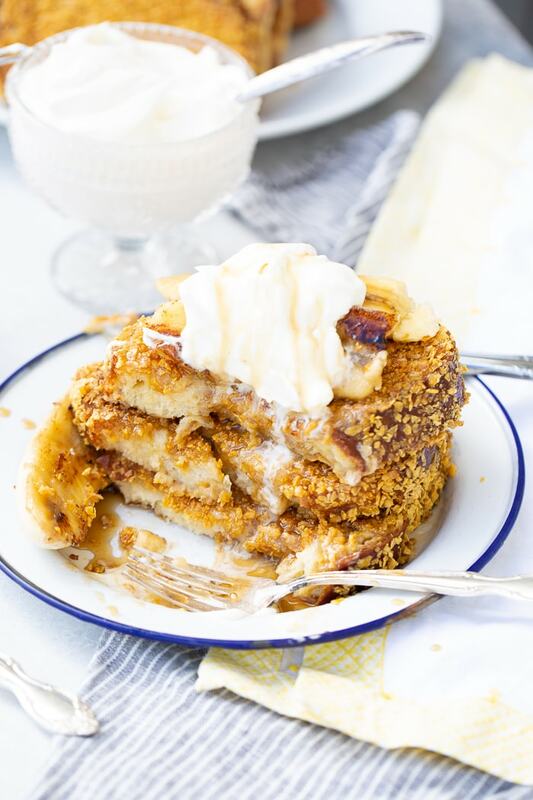 This is Cade’s Bananas Foster French Toast recipe that we are totally obsessed with. 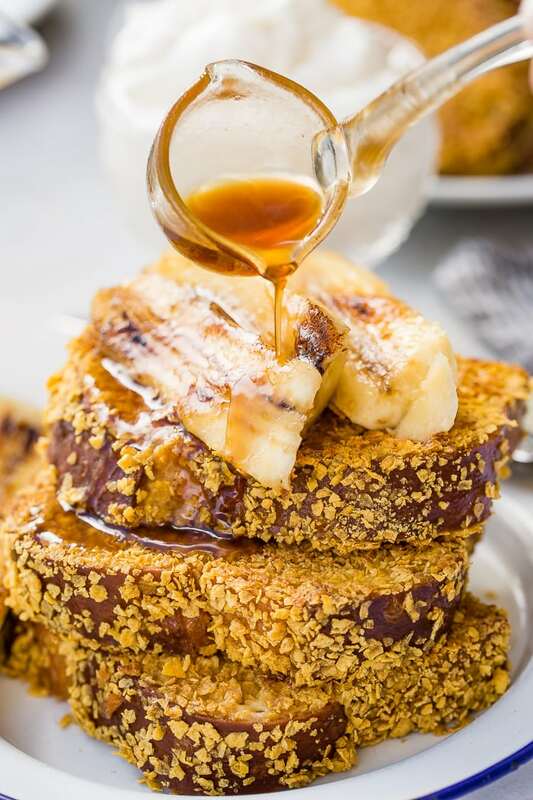 The perfect French toast with the most delicious brown sugar banana syrup! We’ve been talking about Cade’s Bananas Foster French Toast Recipe for years and years and have totally neglected to share it. And by “we” I mean Cade has neglected to share it because he wouldn’t ever write down what he did. But not anymore!!! 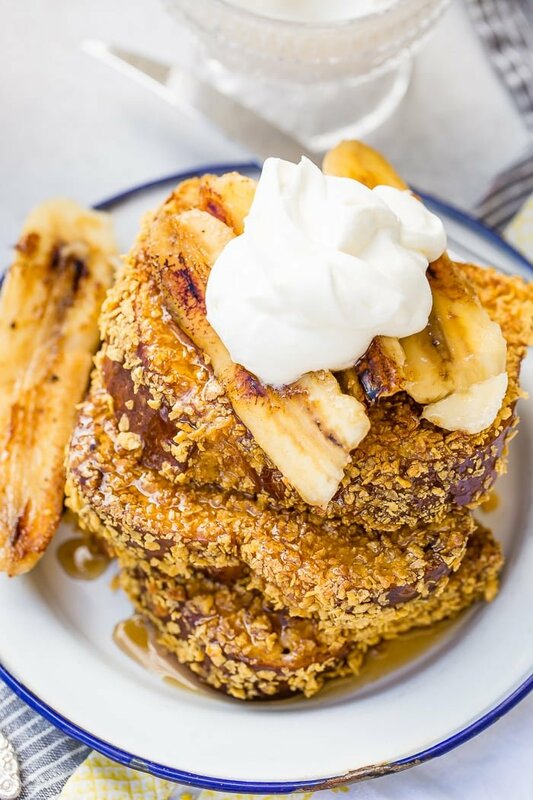 We’ve got it all written out exactly, and just wait until you try that big and fluffy French toast with a secret recipe that makes allllllll the difference, covered in corn flakes for a fun little crunch, and then drenched in the most delicious and easy bananas foster syrup! 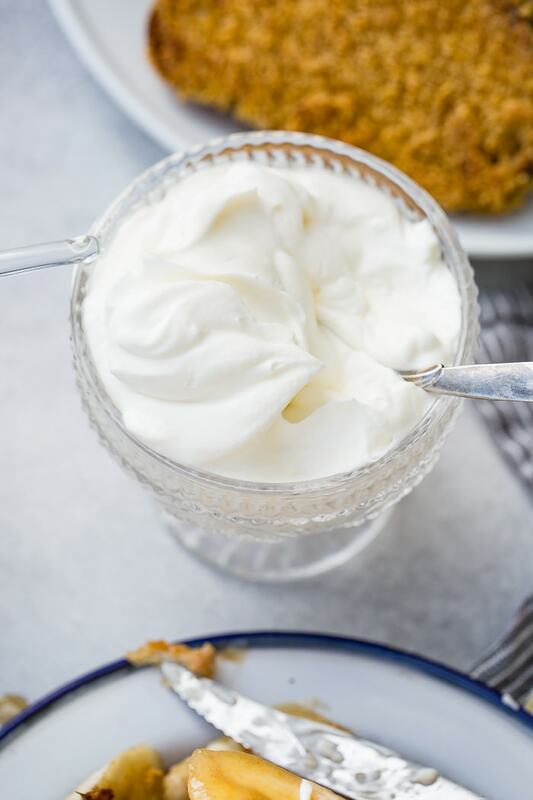 I mean, I’m not going to judge you if you go ahead and add a fat dollop of whipped cream on top as well. To celebrate the end of summer before the kids go back to school, we decided to have a special breakfast party and purchased all of the ingredients at the grocery store for Cade’s special recipe. We were all wearing jammies, enjoying our French toast and listening to Cade’s stories about how the recipe has changed over time. A memorable dining-in moment like this, shared with your family, is one Capital One’s brand-new Savor® card looks to reward. It feels good to spend valuable family time together before the fall gets so crazy with school – and it’s a moment Savor can reward you for! This is a card me and my family will consider, especially knowing it’s straightforward and offers cardholders all the benefits of being a Capital One customer. Cade is going to tell his own story about where this all came from, so here he goes. When I was in Jr. High my parents got a divorce and my mom, brother and I all moved to Arizona. Not only was it crazy hot, but it also wasn’t home, wasn’t where my friends were and wasn’t where my dad was. It was a really rough time for me. Teenage years are hard as they are, but throw in the new family dynamic, new school and hormones and I wasn’t really happy. Every day I came home from school and my mom was still working so it was just Josh and me. I would say 8/10 times I came home and made us French toast with bananas foster syrup and while it wasn’t as good as my adult version, it still was pretty awesome for a 13-year-old boy. It was the beginning of my cooking career I guess. It’s always interesting to look back and see how trials shape us in a way we don’t even know we will need until later in life. 4% cash back on Dining- including purchases at restaurants, fast food places, coffee shops, cafés, lounges, bakeries, bars, nightclubs, and more. 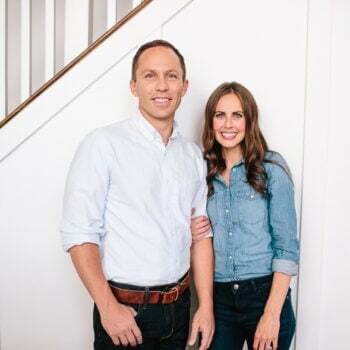 Small decisions like budgeting for groceries, shopping the sales, sticking to your list and using Capital One to get more out of your shopping trip is what helps us be successful. • Capital One cardholders gain access to exclusive events. 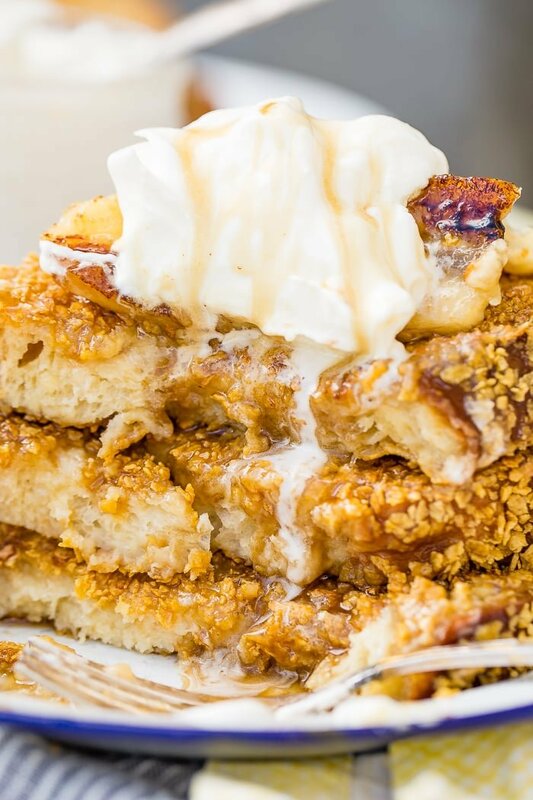 Now let me tell you about the delicious part of this post, Cade’s bananas foster French toast! I’ll be honest as well, our kids are totally not into the cornflakes thing so we make half with and half without. The star of the show is the syrup for sure, but the actual French toast isn’t far behind and that’s all thanks to a special recipe we learned a few years ago. 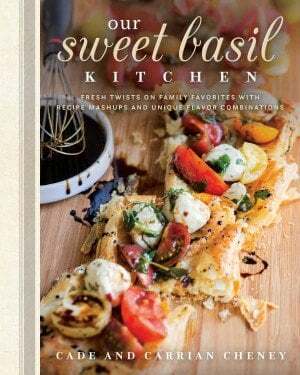 America’s Test Kitchen has one of my favorite go-to cookbooks. The one where everything has been tested hundreds of times and you know the recipe will turn out perfect even if it’s your first time making it. Well, we found a recipe for french toast and were a little shocked. I mean, eggs and milk, done and done, right? There’s a mixture of egg, milk, vanilla, sugar and wait for it… FLOUR that makes for a crazy good French toast. It’s thick and really soaks in for a truly delicious experience. Oh boy, isn’t that the question, which bread for french toast? Growing up it was just regular sandwich bread. As I got older and wiser and we only make french toast with a brioche loaf or challah loaf. We buy multiple and keep them in our freezer and our local store has them both so no crazy bakery runs. You can make your own as well. There’s this Brioche Recipe or this Challah recipe. Brioche bread is an English yeast bread that has a high egg and butter content which makes it a more rich, dense, and tender crumb. It’s amazing for burger buns as well. Challah bread, pronounce “Hall-uh” is a traditional egg bread similar to Brioche that is used for Jewish holidays. Our store carries a plain AND a sugared top version that is so yum! The key to using these breads is to place them in the batter for a good 5 minutes on each side to really soak up the batter. We usually go with 5 minutes total if we are in a rush. Making bananas foster syrup usually calls for alcohol, but not only do we have children, but our family doesn’t drink alcohol, so we skip it. Instead, the bananas foster syrup for french toast is merely caramelized bananas, water, a little corn syrup (optional) brown sugar and a dash of vanilla. First, place bananas cut side down in a hot pan with a little butter until golden. Remove to a plate. Everything else is simmered together until it begins to thicken up and then the bananas are added back in for serving. Have you ever made french toast and wondered, why my french toast was soggy? You probably added too much dairy. When you add too much milk to the mixture your egg doesn’t cook and set up, thus leaving you with soggy, mushy french toast. We almost always have leftover french toast, even when it’s Cade’s bananas foster French toast so I’ve often wondered, can french toast be frozen? Cool the french toast completely, laying flat on a platter or cookie sheet. Wrap the french toast individually with saran wrap for longer storage, or skip it for eating later that week. Stack the french toast in gallon sized freezer bag and seal, pressing out the air as you close the bag. Store flat in a freezer for up to 3 weeks. Reheat in a single layer on a pan in the oven or in the toaster. Can french toast batter be made the night before? You can make the batter the night before but you need to store it in an airtight container in the fridge over night. Sometimes this separates the custard so you’ll want to whisk it up again. Can french toast batter be saved? 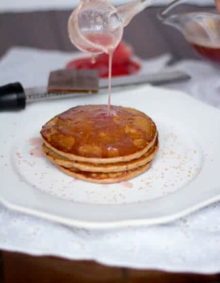 French toast batter can be saved in the fridge in a glass bowl with saran wrap over it for one day, after that it should be discarded. Can french toast batter be frozen? Because french toast batter has dairy you’re going to want to place it in a ziploc bag and press out as much air as you can as you seal the bag. Lay it flat in the freezer. Freeze batter for up to 2 weeks. 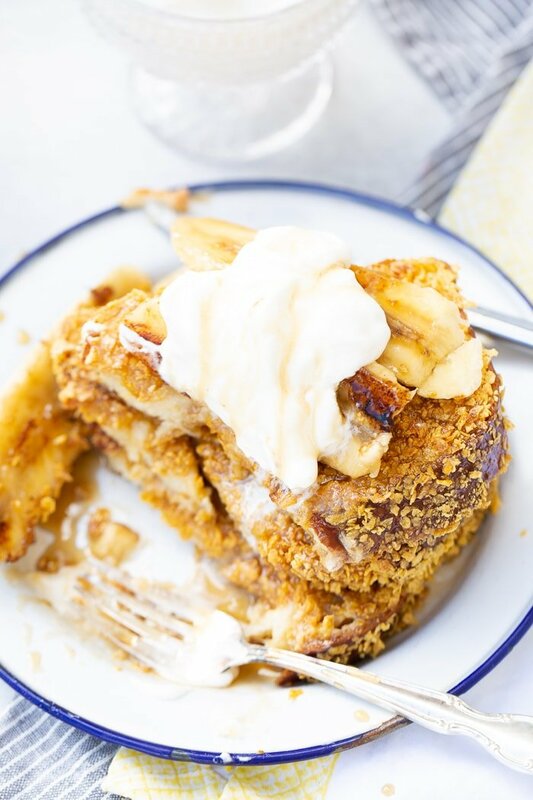 This is Cade's Bananas Foster French Toast recipe that we are totally obsessed with. 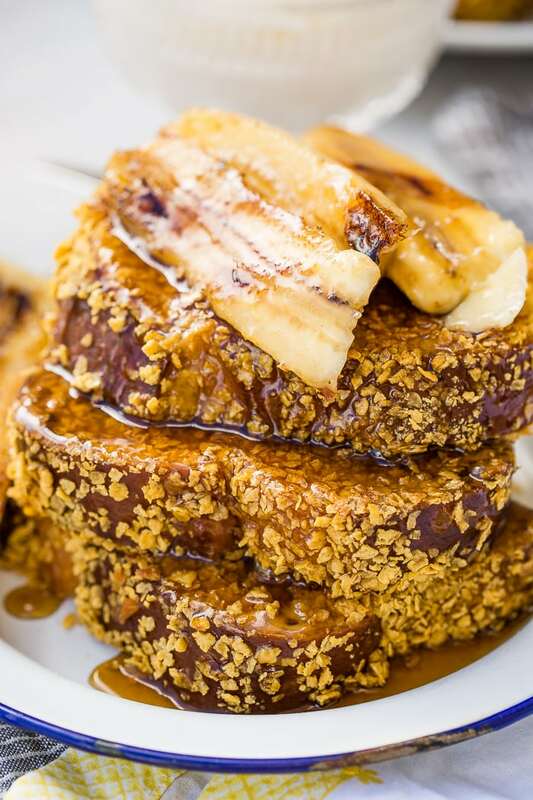 The perfect french toast with the most delicious brown sugar banana syrup! Slice the bread and lay it out to begin to dry out a little. In a cake pan, whisk together the eggs, butter, vanilla and sugar and milk. Add the flour and salt and whisk again. Place 6 slices of bread, or whatever fits into the pan and soak for 5 minutes, flip and repeat. Meanwhile, heat a griddle over medium heat and butter the pan. 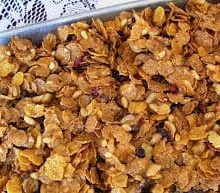 Place the cornflakes in a dish and take the dipped bread, letting it drip a little, and coat it in the cornflakes. Transfer to the heated griddle and cook for a few minutes on each side until golden. Remove to a plate with foil and place in a 200* oven to keep warm. Place the bananas, cut side down on the pan and cook until golden, flip and cook a minute more then remove to a plate. 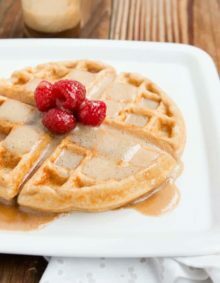 Add the remaining butter, brown sugar and corn syrup, as you whisk those together, slowly pour in the water and turn the heat to medium. Allow to simmer until the liquid begins to reduce. 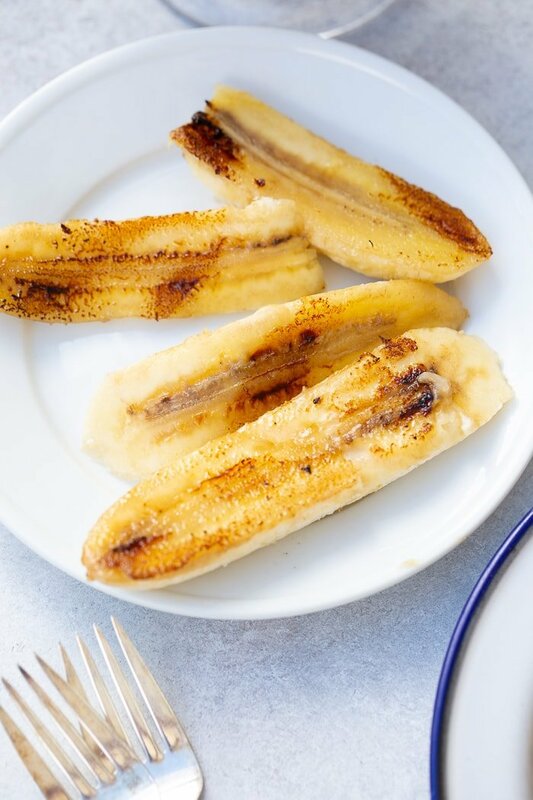 Add a dash of vanilla and the bananas and serve immediately. Looks amazing. Not sure about the corn flakes so I might try a half and half approach on my first go round. Your description of the batter says there’s dairy but the recipe doesn’t include it. Does this need milk? Ack! Thank you! We will get that fixed! This looks so tasty! I would love to try it out! You should for sure! We would love to hear what you think! 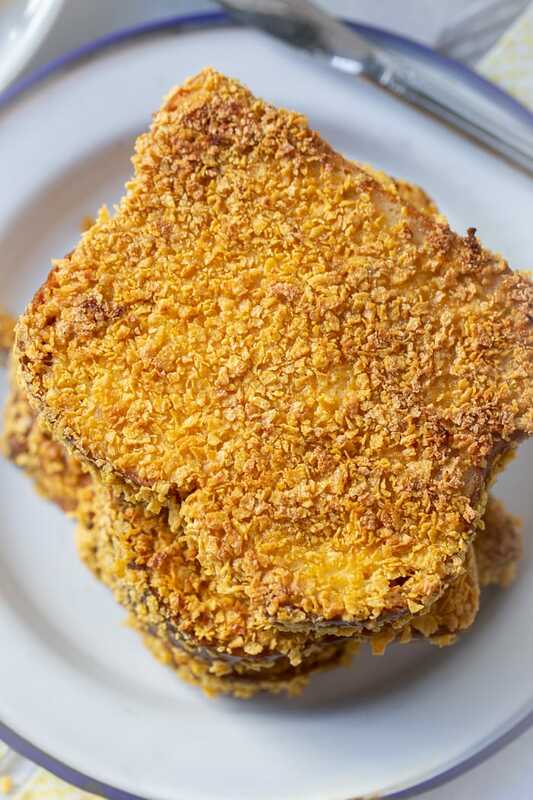 French Toast on crack….delicious crack! My son LOVES Banana’s Foster French toast! But we’ve never had it with a corn flake crust! It’s a total game changer! If you make it, please let us know what you think! This loosk amazing! What a great way to start the weekend! I like the way you think!! FriYAY!!! That is one decadent breakfast! Perfect for special occasions or long weekends! We love to make it when we have guest staying with us! !